The time has finally come! 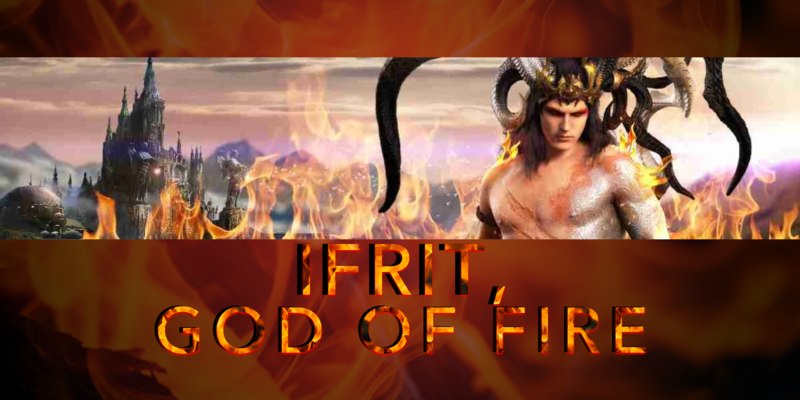 Everyone has been wondering which astral is coming next, and the answer is here: Ifrit, the fire god. How long have you been waiting for Ifrit to show up in Final Fantasy XV: A New Empire? With all the recent releases, it’s been debated about which astral would be next, and the god of fire is the chosen one. With 50% more offensive power than Shiva, Ifrit is the answer to the attacker that loves to use elemental fire troops. We will show you all the boosts you can gain with the devastating astral of fire, so you can better skill your astral to destroy your enemies. The abilities that Ifrit has can help you burn even the toughest of empires, or just defend against the biggest attackers. Right now is a tipping point in the heavy cavalry boosted empires with Leviathan and the new attack for warriors from the newest addition to FFXV: ANE. Use this to your advantage to bring havoc to anyone that is against you. Even better, bring your Ifrit to another realm and show them who is the boss. Using the infernal might of Ifrit will give you an added bonus to your fire attack if you have more fire elemental attack than your opponent. Burn through your enemies because not only does Ifrit enhance your fire troops, but he gives your warriors an added attack boost. Add this with the increased fire well production, and you are well on your way to dominating the field. Read on for the exact boosts your new astral can give you, so you can better spend the skill points to fit your needs. You can unlock the different sections of Ifrit skills by leveling him up using Ifrit Empowerment Sigils. The first row is unlocked as soon as you upgrade the shrine, the second row is unlocked at Ifrit level 10, and the third row is unlocked at Ifrit level 20. Among these skills is a bonus fire attack of up to 50,000% if your fire elemental attack is higher than your opponent. You will see the Infernian’s retaliation to the cool touch of the Glacian with an attack bonus of 200% against ice elemental troops, considering ice is already weak against fire, this is an insane boost. Each skill has a maximum of 50 points that can be allotted to master it. You get extra points similar to hero skill points to apply whenever you level up Ifrit. Unlike hero skill points, you can reset his skills at any time. Change it however many times you wish to customize your astral to suit your needs. You will see that leveling up the newest astral uses the same amount of sigils as the others. You will need just over 3,000 Ifrit Sigils to unlock the whole skill tree in order to have access to all of his abilities. All skills are maxed at 100 for Ifrit, just like the other two astrals at our disposal. The amount of sigils needed goes up for each level with less than 500,000 needed to level him up to max out the whole tree and utilize every boost possible. Latest Moogle Merchant chests have given enough to level up your astral with just a few packs purchased. This is unlike anything that has happened before, so be careful with the people coming at you with a completely maxed Ifrit in their arsenal! Living Flames. By using Ifrit’s flames you can use this skill in attack or defense. It boosts Ifrit’s Armor by up to 328% and your empire’s fire elemental troop HP by 110,000%. When you increase your troop HP this much, you can probably get marches back from your opponent. Imagine how much elemental essence you can save when your marches don’t get eaten by your enemy. Burning Blades. This skill uses magma-tipped weapons and boosts astral attack by up to 727% and your empire’s warrior attack by up to 85,000%. This isn’t too shabby considering it’s just the first level of skills that you can unlock. Bring your warriors back to greatness with the Fire God. Ifrit’s Gift. The first health bonus for your astral is opened with Ifrit’s flames to boost his health and melt ice troops. You can get up to a 50% health bonus for Ifrit while also increasing your fire elemental troop attack against ice elemental troops by up to 200%. Considering that fire is already twice as powerful against ice, this changes to four times the damage! Take advantage of all the people who still have leftover ice in their empires to cause mayhem in the realm. Slag Armor. Starting the second row of skills that are unlocked is another astral armor bonus. Applying points to this skill will boost Ifrit’s armor by up to 492% while also increasing your fire elemental troop armor bonus to up to 330,000%. Be sure to use anti-armor shredding monsters in conjunction to these boosts, so your enemy doesn’t erase all of these incredible stats. Meteor. Right in the middle is another attack boost skill. If you apply the max points to this skill you will get a max of 1,091% Ifrit attack bonus and your fire elemental troop attack will increase to the max of 110,000%. This is only going to get better as it goes, but don’t overlook this fireball of a boost. Cauterize Wounds. Like the other astrals, Ifrit can heal his own wounds. The fire god uses the power of flames to increase his HP regeneration by up to 200%. His health bonus is increased by up to 50% with this skill. His HP increases faster than the other astrals due to this skill, and combining this with Luna’s limit break enchantment, Ifrit will be unstoppable. Radiant Shield. Unlike Leviathan with this skill being heavily city defense stats, Ifrit’s fire surrounds your army and gives you a city assault HP bonus of up to 75,000%. Add the astral armor bonus of up to 737% and your troops will be stronger than ever while attacking other empires. HP is king now with the increasing armor shredding stats. Use this to your advantage while you can. Fight Fire with Fire. With your high leveled Ifrit, you will gain immense stat bonuses, and this one is an amazing one. Your astral attack is increased by a max of 1,637%. But the best of all, is that your critical fire elemental attack” bonus is 250,000%. This will grant you a bonus attack boost when your fire elemental troop attack is higher than that of your opponent. Not only will you attack hard, you will dominate when your stats are the strongest. Hearthfire. Last but not least, this skill invigorates your fire well production by up to 500%, while increasing your astral health bonus by 50%. Use the added production to make all the fire troops you need to get back to business burning and annihilating empires that dare oppose you. Ifrit’s skills can be changed at any time, if you don’t have him leveled up to 100. This is helpful when you need to change from attack to defend, or if you just need to try something new. 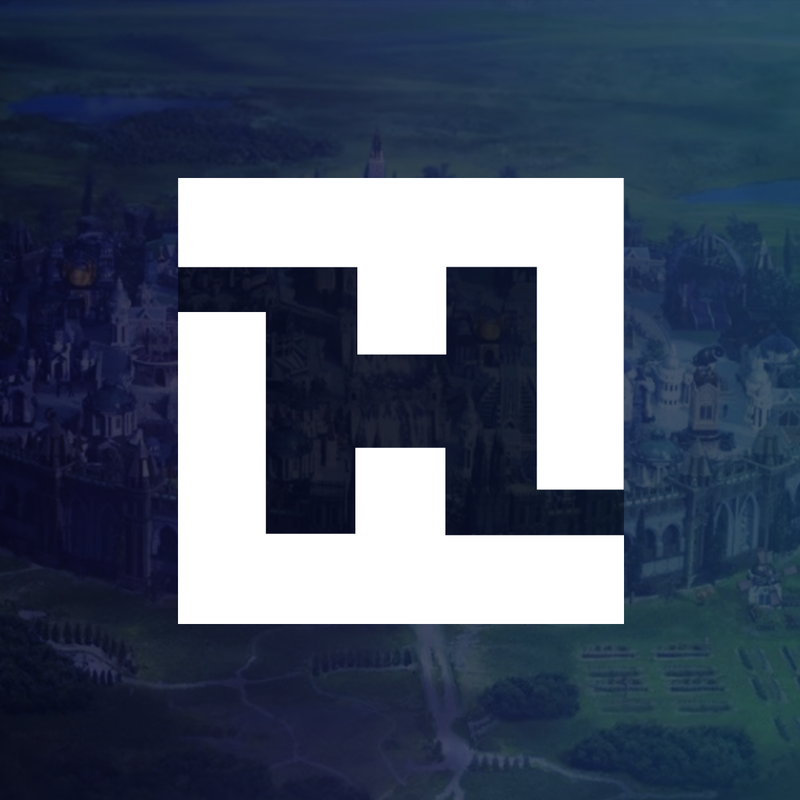 Reskills are free and unlimited, so don’t be afraid to try something out. Even if you just need to skill the HP regeneration for ultimate speed in healing, you can go back to attack mode in no time. Everyone that is familiar with the Final Fantasy astrals knows that Ifrit is an amazing attacker. You can use all his boosts to further destroy your enemies. It’s amazing to see all the boosts that the fire god brings to your offensive marches. Most attackers will have a higher attack boost than their enemies and this will make you even more devastating with the added critical fire elemental attack boost. The fire god is even strong in defense, countering the ice troops that a Leviathan attacker might send at you. Obviously, most of his abilities favor attackers but don’t let that dissuade you from adding him to your defense arsenal. If you can increase your fire elemental troop attack, the added attack bonus will be crushing to anyone. Ifrit brings along similar skills as the other two astrals that we have, but with enough power to make him worth having to increase all your attack stats to insane levels. Warrior boosts and fire boosts will also be increased with your Infernian gear. Hint: even the Destiny’s Helm has boosts that will go along nicely with Ifrit. Considering fire elemental troops are already strong on city attack, this is what you have been waiting for. Leviathan may have been an amazing defender, but the warrior stat increase that Ifrit brings counters her cavalry strength. Ifrit has become the third astral introduced to our empires. Did you expect the fire god to be here before another astral? Which one do you think will be the counter to the amazing attack stats that Ifrit brings to us? Let me know in the comments or bring the discussion on Line, Discord or Facebook. I look forward to seeing you there! Meet the New Hero Iris! How does one defend not burn attacks ifrit and elementais fire? What better’s defense or the configuration of them not to burn?